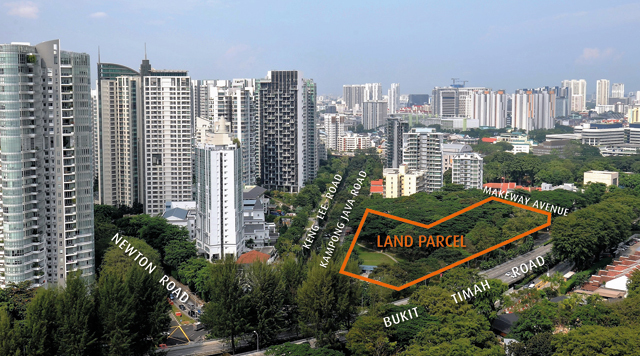 The tender for the 125,326 sq ft residential site at Kampong Java Road closed on Jan 15, and drew seven bids. The top bid of $418.8 million ($1,192 psf ppr) came from CELH Development, a unit of Singapore-listed construction and property developer Chip Eng Seng Corp. The second highest bid of $417.24 million ($1,189.97 psf ppr) was submitted by GuocoLand. The top bid of $1,192 psf ppr for the GLS site at Kampong Java “was relatively low” compared to the $1,540 psf ppr for the Fourth Avenue GLS site purchased by Allgreen Properties and the $1,733 psf ppr paid by Frasers Property for the Jiak Kim Street site in Dec 2017, points out Nicholas Mak, ZACD group executive director. What’s more, the freehold development next door, Makeway View, was sold en bloc for $168 million ($1,626 psf ppr) in March last year, observes Mak. Based on the bid price by Chip Eng Seng, Colliers’ Song reckons the breakeven price to be at $1,700 psf and the selling price of the new project could be in the range of $1,900 to $2,000 psf. “Chip Eng Seng has been rather successful with its launch of Park Colonial last July, and is ready to replenish its landbank,” she remarks.